CIU affiliated club welcoming all age groups. We are a friendly club that has a wide range of activities to suit all tastes, from darts to disco. And for those of us who may enjoy a slightly slower pace of life, we have Bingo and tea dancing. 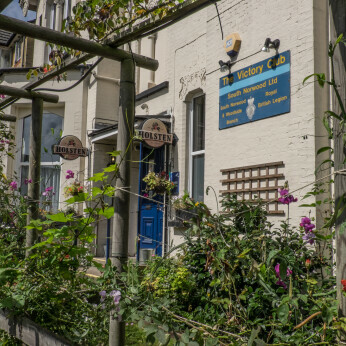 Located close to Crystal Palace football club The Victory Club is a venue where you can relax and enjoy a friendly family atmosphere with a varied diet of entertainment for the whole family. We welcome members and visitors or guests to our club and offer our members very competitive prices at our licensed bar. Visitors or guests are required to pay £2 per visit or apply to join - ( Full membership £15 per annum, Pensioners £7.50 per annum). Our entertainment is available throughout the week as are our function rooms which are available to hire for any occasion.